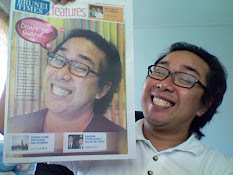 Either you are young or old! 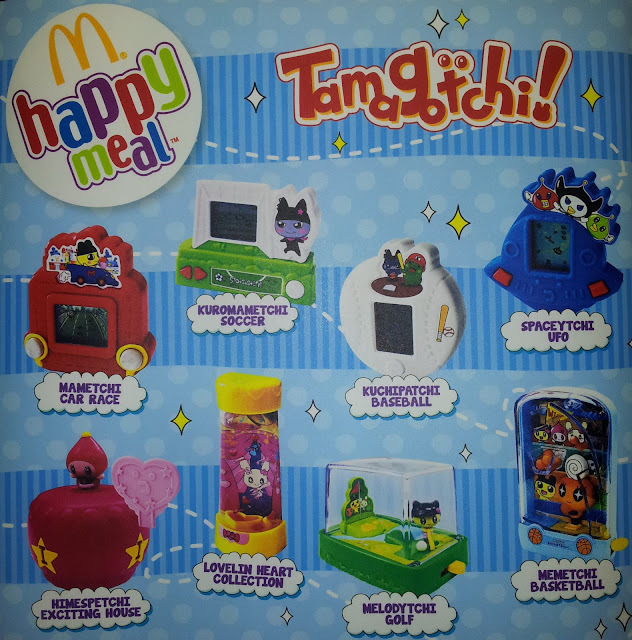 McDonald is proud to present to you the Tamagotchi Happy Meal toys. 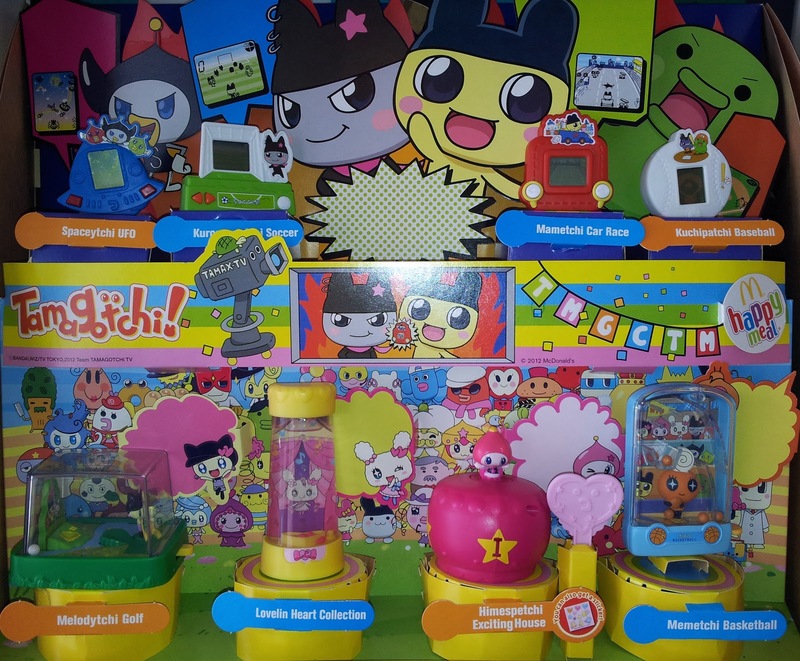 They are Nametchi car race and Memetchi Basketball for week 1, Melodchi Golf and Kuromametchi soccer for week 2, Spaceytchi UFO and Lovelin Heart collection for week 3 and for week 4 Kuchipatchi baseball and Himespetchi exciting house. Happy Meal consist of either beef, chicken or cheese burger burger, 4 pcs nuggets or 1 pc chicken with side of small fries or fruit cup and 1 soft drink. So hurry as they are available for limited time only and while stock last. So head down to McDonald's which is located in Gadong or call 244 9669 for delivery ( terms and conditions apply).